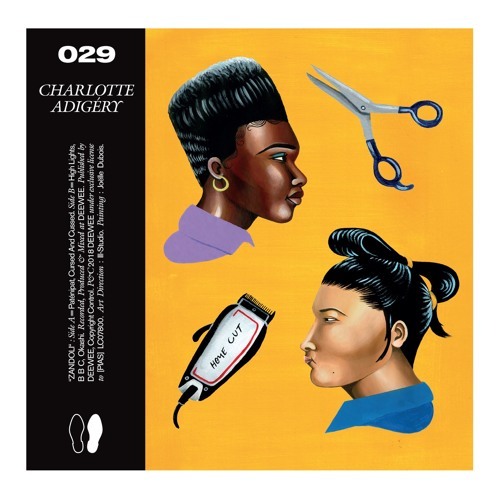 DEEWEE029 single 'Paténipat' by Charlotte Adigéry is out now with the full EP to follow 08.02.2019 on DEEWEE. You can pre-order the 12" and full digital EP here: http://smarturl.it/Zandoli The Belgian-Caribbean artist proves herself to be a consummate storyteller. Sometimes patently silly, sometimes deeply introspective, Adigéry’s ever-wandering mind spins tales that are absurd and poignant and ridiculously fun. In the studio Adigéry is joined by known DEEWEE collaborator Bolis Pupul, a descendant of the first and only wave of Chinese immigration to Martinique. After matching on Tinder the pair began to explore their shared histories, resulting in heart-to-heart confessions that seep through the songs of Zandoli. 1 Paténipat 2 Cursed And Cussed 3 High Lights 4 B B C 5 Okashi Recorded, produced and mixed at DEEWEE. Painting by Joëlle Dubois. Art Direction: Ill-Studio.